Technical Car Experts Answers everything you need: Where is reverse light switch located on ford focus? Where is reverse light switch located on ford focus? I NEED THE DIAGRAM SHOWING ME WHERE THE REVERSE LIGHT SWITCH IS LOCATED on 2005 ford focus. ITS MANUAL TRANSMISSION MODEL FORD. CAN YOU PROVIDE ME THE DIAGRAM? First of all, the reverse switch on ford focus with manual transmission is located on top of the transmission. You will need to support the transmission from underneath and remove the trans mount. Under the battery in this car is the transmission mount. 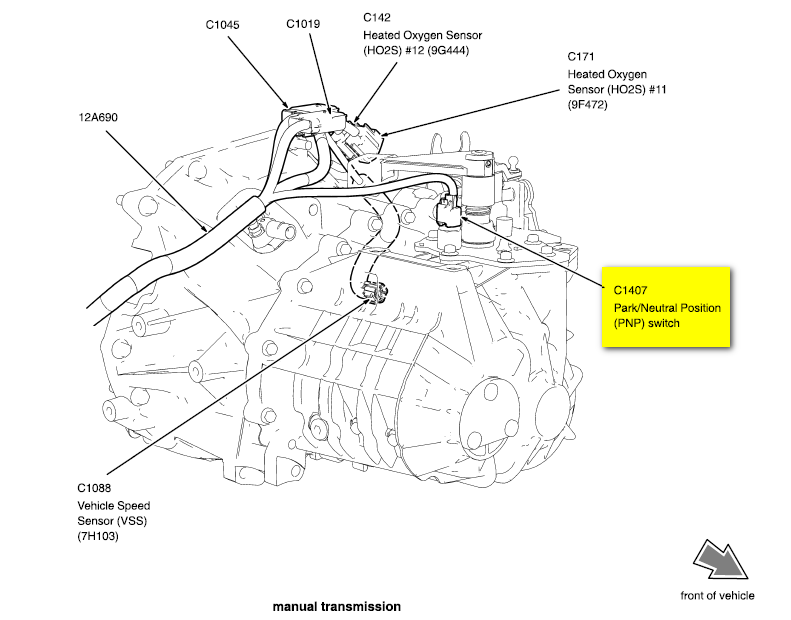 Below is the location, on top of the transmission. The reverse switch all called as park/neutral switch is marked with yellow background in the diagram.